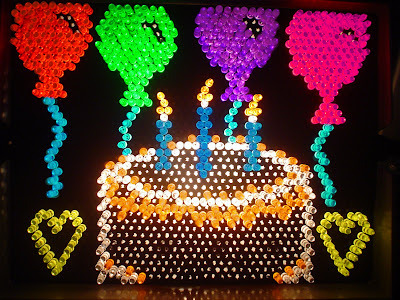 JoJo's Lite Brite Emporium: Happy Birthday Vanilla Girl!!!! VANILLA GIRL! VANILLA GIRL! VANILLA GIRL! VANILLA GIRL!!!! Happy Birthday Vanilla Girl!!!! VANILLA GIRL! VANILLA GIRL! VANILLA GIRL! VANILLA GIRL!!!! Here is your VANILLA birthday cake with ORANGE frosting, and BLUE candles!!! (oh, and if anyone is looking at this going "what the hell, this has nothing to do with video games!!" i.e. : nothing good to say.